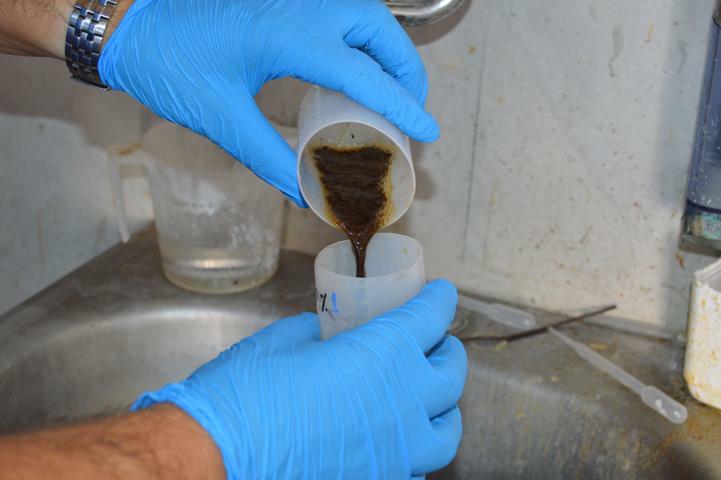 Last month’s tests confirmed that, by using appropriate additives (flocculants), the sludge coming from the combustion of manure in the CHIMERA prototype plant can be transformed into a substance with the right consistency to be pellettized and used as a N-P-K fertilizer. The process is enabled by a centrifugue that allows the separation of sludges. Once separated, liquid part is reintroduced into scrubbers and solid part is transformed into small cylinders. Those cylinders are commonly called “pellets” and are widely used as N-P-K fertiliser. The remaining liquid part reintroduced into scrubbers is used for washing fumes: no water is then added to the process.